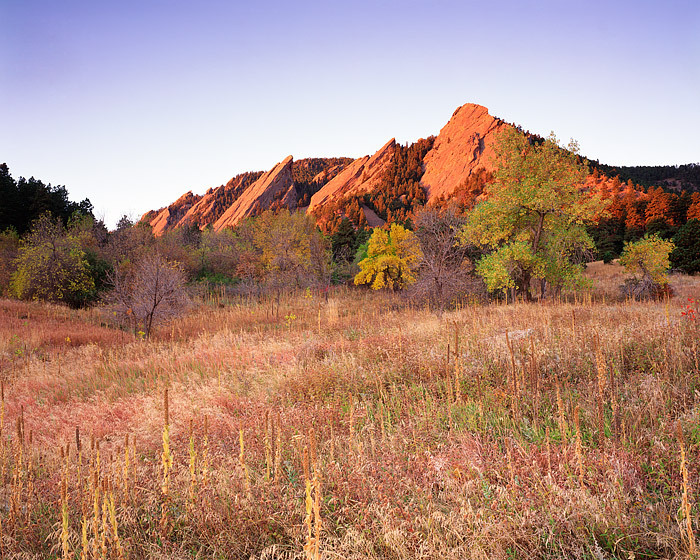 The Boulder Flatirons welcome the Suns first rays of the day on this Autumn morning. Chautauqua Meadows fall color is in full display on this pleasant Colorado fall morning. Photo © copyright by Thomas Mangan.